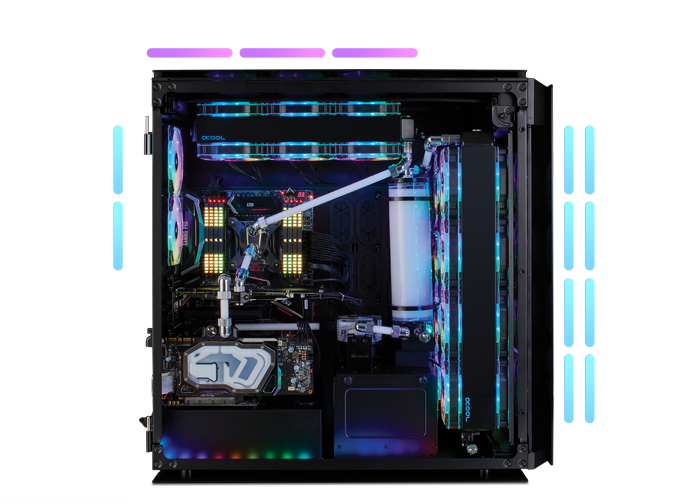 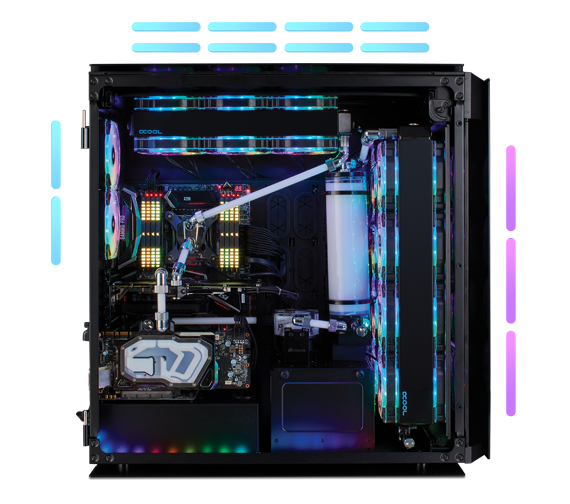 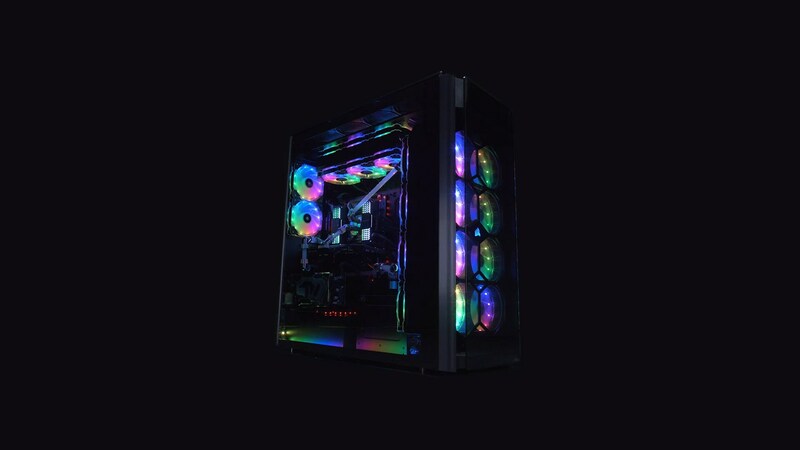 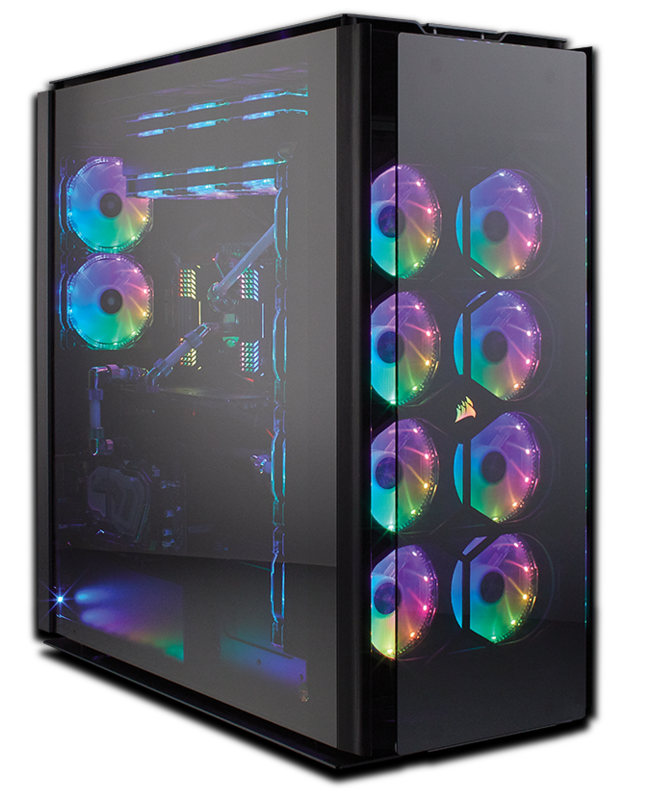 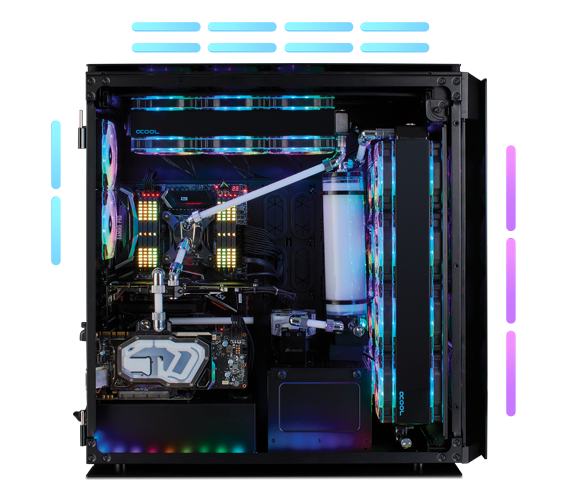 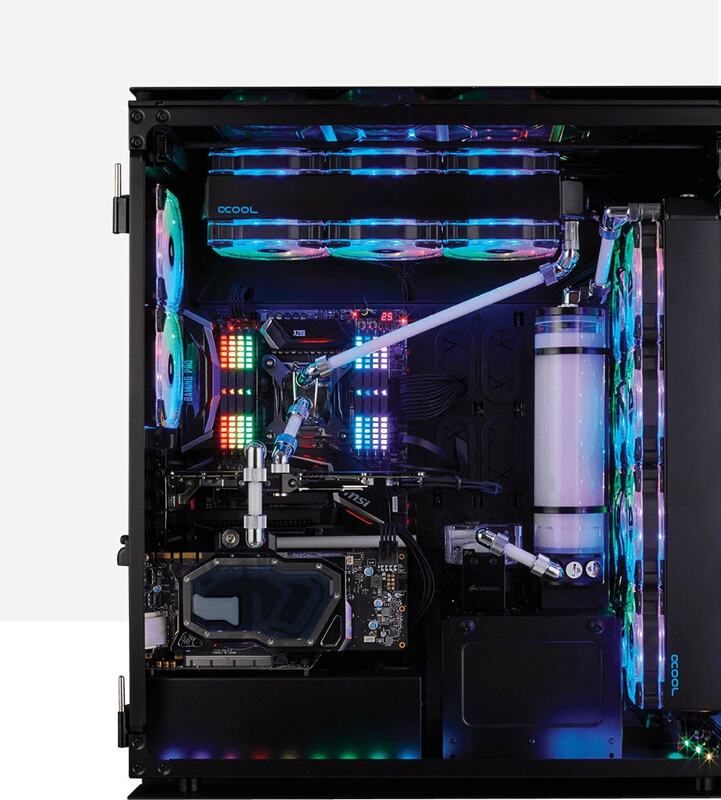 The Obsidian Series 1000D is the ultimate super-tower PC case with iconic tempered glass design, smart lighting and fan control and the ability to house two systems simultaneously for the most epic builds. 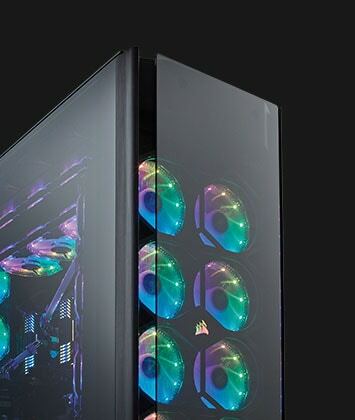 Iconic and clean exterior lines, smoked, tempered glass side doors and seamlessly integrated RGB lighting make the Obsidian 1000D the best-looking Obsidian Series case yet. 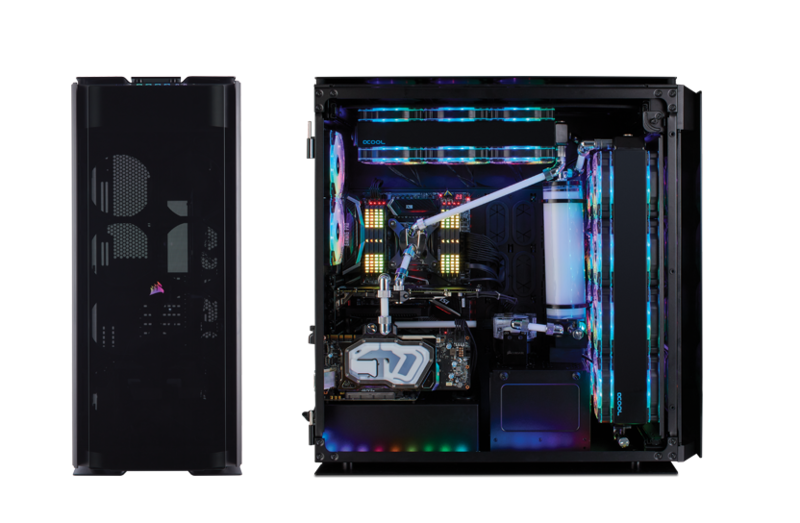 The Obsidian 1000D can fit both a complete E-ATX and Mini-ITX system concurrently so you can stream and game smoothly from one enclosure. 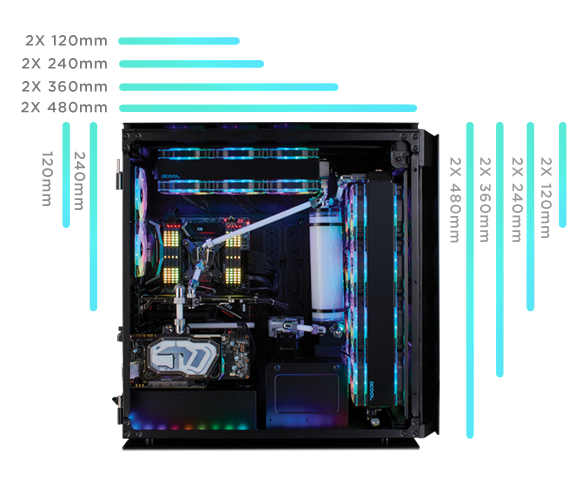 Two motherboards, two power supplies, two full PCs in one case. 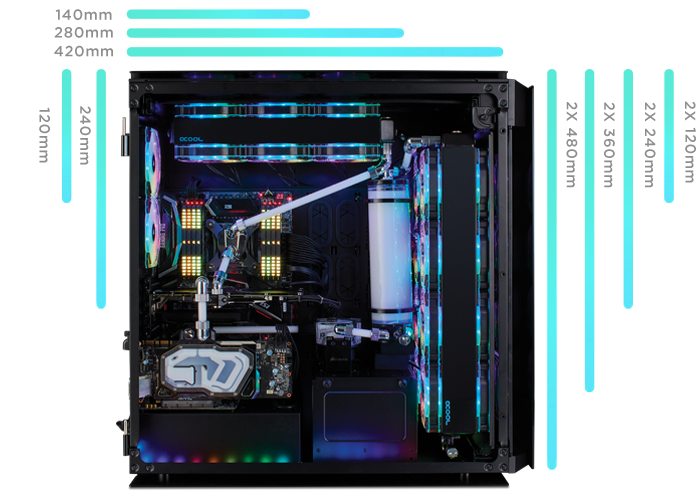 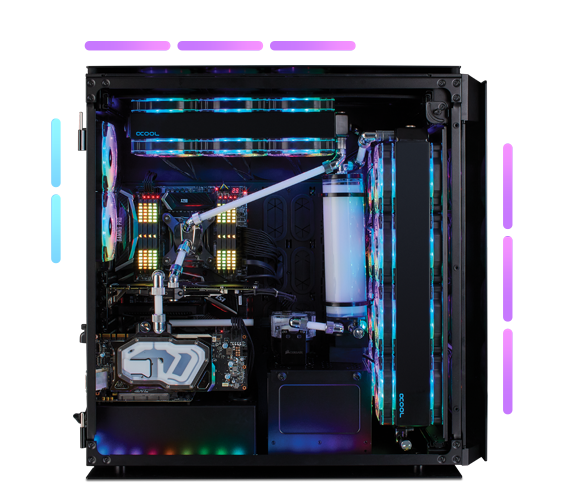 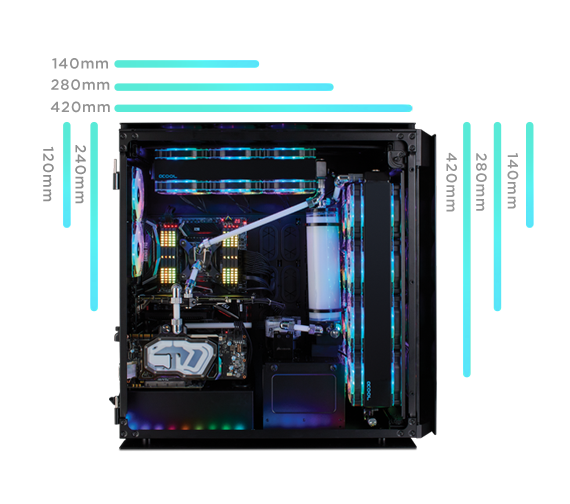 Keeping a 1000D PC build tidy is effortless with the included French-door-style rear storage compartment, E-ATX motherboard island and dual-purpose Mini-ITX motherboard tray and PSU cover. 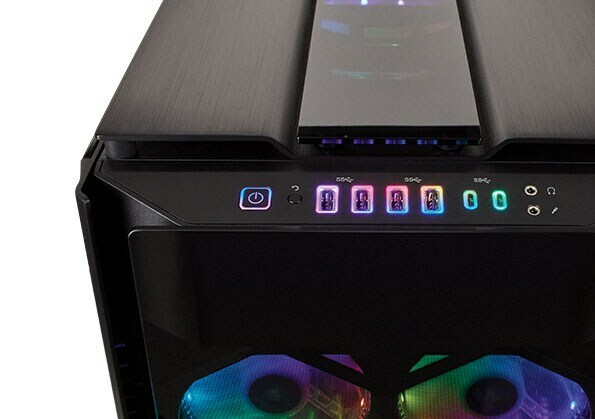 An RGB LED lit front panel includes two USB 3.1 Gen-2 Type-C alongside USB 3.0, for future-proof and backward compatible connections. 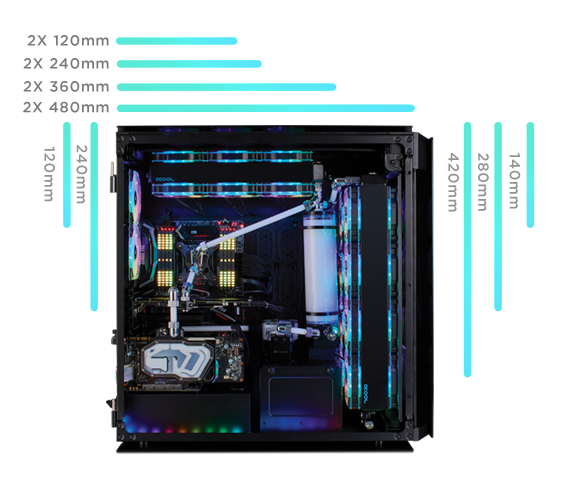 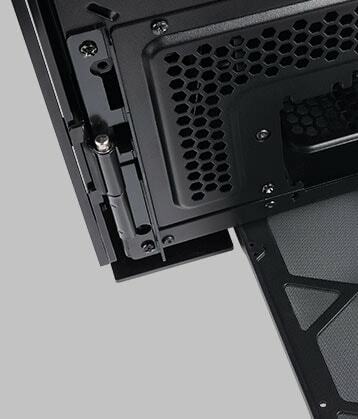 A rotatable GPU bracket for standard or vertical GPU mounting and a wealth of pump and reservoir fit points throughout the case, make the 1000D the most flexible and modular CORSAIR case ever. 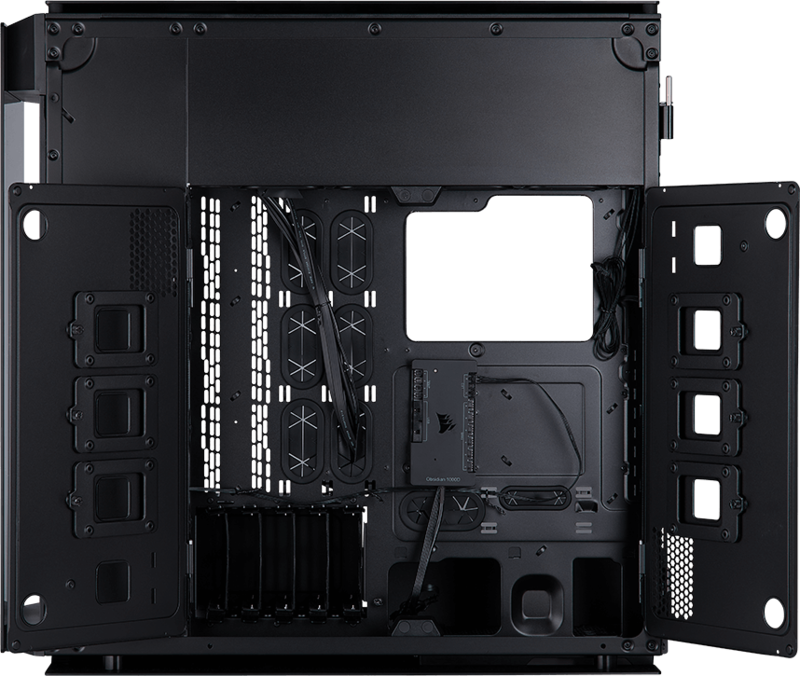 The massive 1000D features storage space for up to five 3.5” HDDs and up to six 2.5” SSDs, each in their own dedicated compartments. 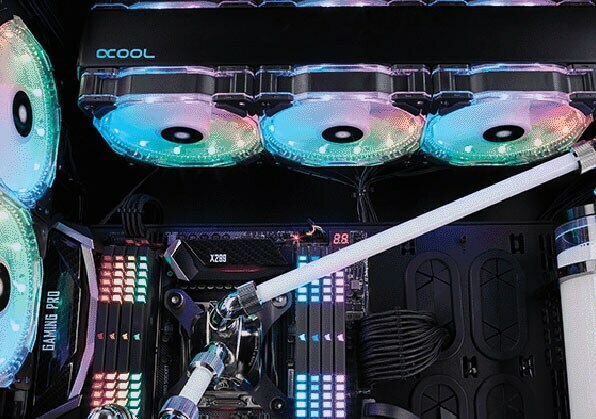 Whether you’re building a high-performance RAID array or a dedicated file-server, 1000D has the capacity to house it, and the advanced cable routing to make it look great.